Today's topic: My personal experience with an old, creepy house! 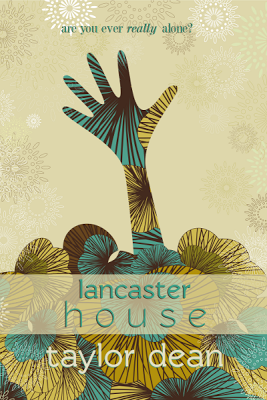 If you missed yesterday’s post which included an excerpt from Lancaster House, click here. My own personal experience with exploring a huge, old, creepy mansion definitely came into play while writing Lancaster House. It’s an experience no child should miss, but I now realize how lucky I was to have the opportunity to do so. It’s a rare thing. My parents became friends with the owner of a mansion in San Jose, California. At one time, the Hayes Mansion practically overlooked a fantastic amusement park called Frontier Village. Check it out here: http://www.frontiervillage.net/ Sadly, Frontier Village was torn down and replaced with condos. The Hayes Mansion still stood proudly in its place, a constant reminder of days gone by, old and dilapidated . . . yet absolutely amazing. My father, a local fire chief, was fascinated with the mansion. The original mansion burned to the ground. When it was re-built, it was “designed to incorporate the latest fire safety features of the day.” Naturally, this alone would attract a fireman! It was through this connection that my father became friends with the owner. My father expressed an interest in touring the house and the owner said yes! At one time there was even talk of our family becoming the caretakers of the house! My parents seriously considered the idea. My siblings and I even had our rooms picked out! Can you imagine? I never would’ve slept a wink! Are you kidding me? It was creepy as heck in there. However, exploring all the nooks and crannies of the Hayes Mansion was an amazing experience. In the end, my parents decided to not become the caretakers of the old mansion. It was only ever talk anyway. But my mother soon realized that while we were all at work and school all day every day, she’d be home alone in the huge monstrosity. No thank you! I don’t blame her one bit! But, it was kinda fun to imagine what it would’ve been like. Of course, now the old mansion has been restored and is a hotel and conference center. We visited once and ate at the restaurant. It is absolutely beautiful and the food was delicious. We sat rather formerly in a place we had romped through as children, smiling at each other at the irony. But, you know what? It’s still creepy as heck in there! It was my memories of exploring the Hayes Mansion that helped me to write Lancaster House. Zoe’s feelings as she wandered the rooms of Lancaster House were very similar to my own as I investigated the old, dilapidated Hayes Mansion. That being said, could I have moved in by myself into an old mansion like Zoe does in Lancaster House? No way! I’m a wimp. I scared myself while writing this book. Ha!